I’m currently away in London so that’s why I’ve been more active on social media and Periscope rather than posting articles on the blog. Most of you are already updated with everything I’ve been doing since I’m here but for those who may not know yet please go check out my Youtube Chanel as I’ve posted all my Periscope replays there. I’m trying to keep you updated as much as I can. 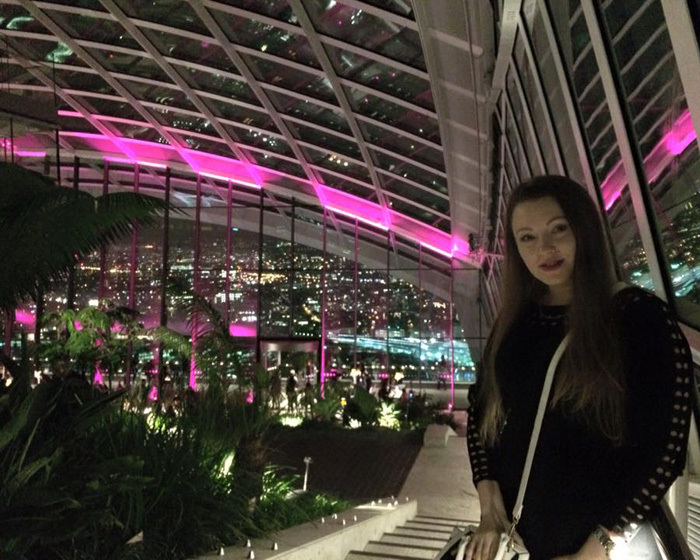 Yesterday I was at Sky Garden, an amazing place which offers an incredible view of London (video). I went there around 6 PM (made reservations 3 weeks in advance) and I was blown away by the view, but also by this amazing place, a bar and a restaurant set up in a indoor garden (video). Even though outside it was windy and cold, I still walked on the London Bridge and also passed by the Tower of London. 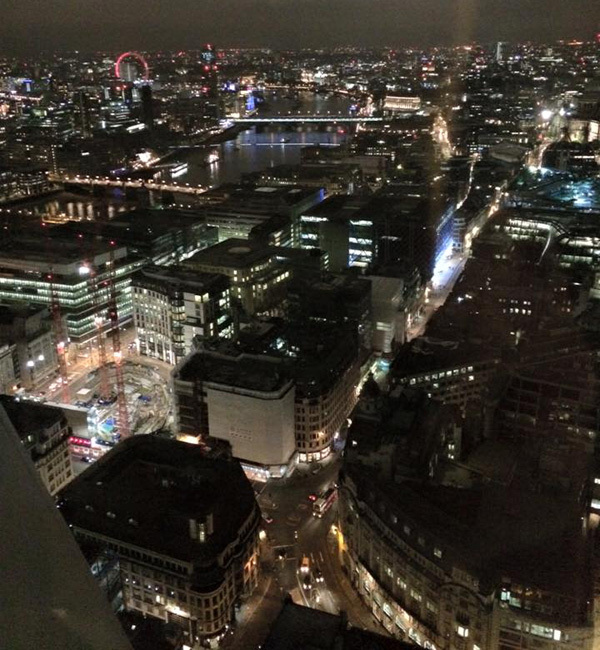 Finally we stopped to eat at a pizza place near the London Eye and got back home late at night. If you are more interested in the makeup and beauty version of this trip you can start by watching what makeup, skincare and fragrances I packed with me for London and then watch me arrive at Henri Coanda Airport and checking out Duty Free Shops for Dior, Chanel, YSL and Lancome exclusives. In the end my plane got delayed as I told you about it on Periscope (video) but finally I got to London in time. Some beauty packages were waiting for me in London and you’ve seen my unboxing The Dream Box IV by Jane British Beauty Blogger which I purchased from Latest in Beauty, but also the Estee Lauder The Artist Makeup Collection (unboxing video) which I’ll be reviewing completely when I get back home. Today I’ll be broadcasting live from Oxford Street as I’m going shopping so if you have the time please drop by and let me know what you think, perhaps there are some products that got your interested and you want to hear more about them.